Whole Roasted Cauliflower. 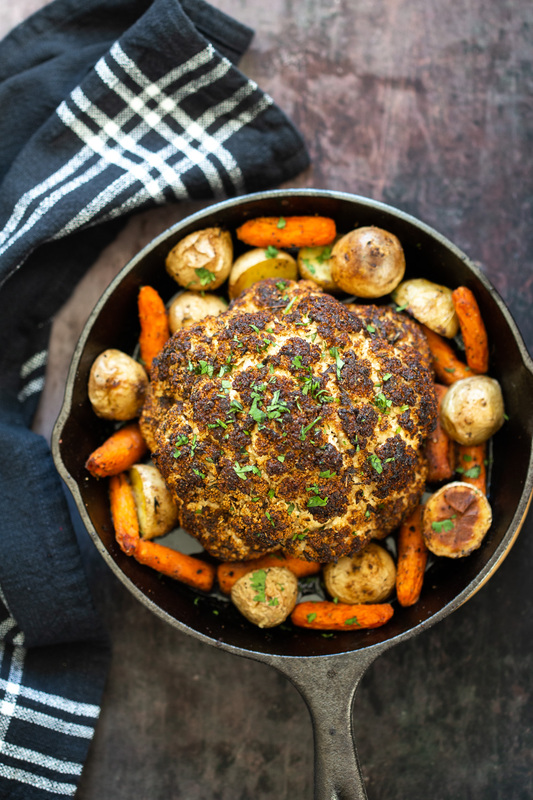 This Baked Whole Roasted Cauliflower is marinated in flavorful of herbs and spices and baked to perfection to make a fabulous Holiday table option. Vegan Glutenfree Nutfree. Can be soyfree. You all have loved making and serving my Whole Roasted Cauliflower with Makhani S..